WHAT: This is a benefit concert for free health clinics in Juarez, Mexico and the border region. 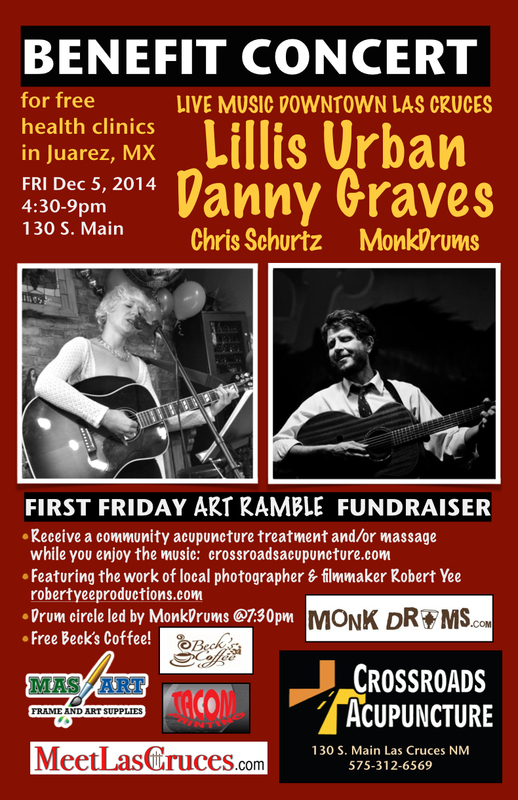 KICK BACK in one of Crossroads’ recliners and enjoy the music for this First Friday Art Ramble fundraiser. Featuring Danny Graves founder of DANM Union and Rawdawgs as well as local singer-songwriters Lillis Urban and Christopher Schurtz. Crossroads’ providers will be offering acupuncture and massage treatments as the music plays on. After the music, MonkDrums from Chaparral will lead a giant drum circle with their hand-crafted drums for anyone to participate in. ABOUT THE FUNDRAISER: Just across the border, Juarez, Mexico has been marred as the Murder Capital of the World. Because of violence, insecurity, social neglect and poverty, access to medical and mental health treatment today remains a problem. Health care often takes place in community-supported self-help programs and churches run by volunteers. 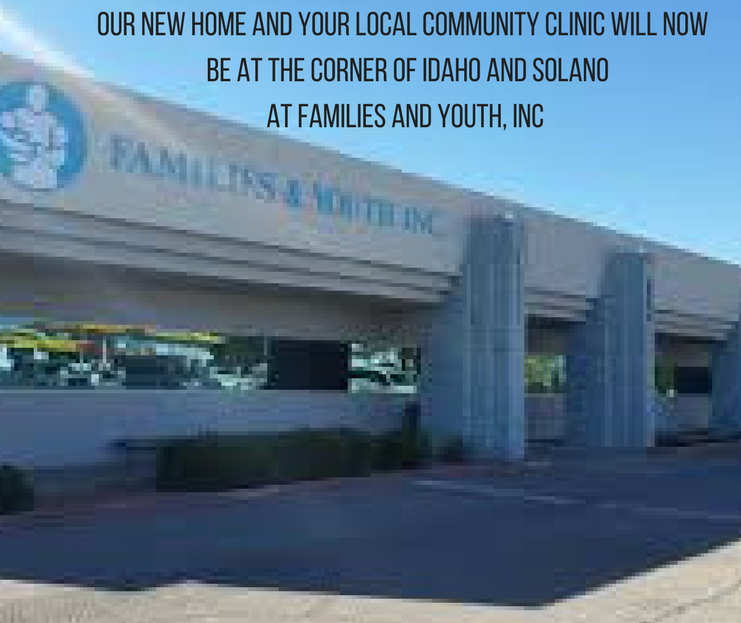 By partnering with these projects, the Crossroads Border Project, founded in 2011, has helped provide, through training and low-cost services, over 20,000 treatments within poor sectors of Juarez and on the fringes of surrounding colonias. All funds raised in this event will support capacity building for these groups. PRESENTATION: We’ll have several health promoters from Juarez sharing their own stories, and a slideshow presentation featuring photos of the Crossroads Border Project. ACUPUNCTURE? If you’re new to community acupuncture, we have answered some questions for you, check it out: https://crossroadsacupuncture.com/faqs/ But you don’t have to receive a treatment to hear the music. Just come on by! WALK INS will be taken as space permits. INVITE OTHERS to attend this event by joining our facebook event page. ← Keep Calm Get Acupuncture Shirts Now on Sale!